Cancun is first thought of as the playground for American college students. It is also a great place for luxury seekers, beach lovers and anyone that is looking to sit back and relax on the warm sands of Cancun. There are many reasons why you might want to vacation in Cancun, but we are going only to cover five reasons why Cancun is the Perfect Winter Vacation Destination. Cancun is home to some of the most incredible animals. Cancun’s unique marine habitats are worth seeing. Here you can discover a vast range of tropical sea species, ranging from sea turtles to sharks. Nearby you can visit Mesoamerica’s rare land animals too! Paellas, Pastas, Burgers, Pizza and just some of the delicious cuisine you can experience in Cancun. Local vegetable dishes, colorful fruit, spiced soups set in top class luxury resorts. Some of the best culinary chef’s in the world are in Cancun. If you want to rough it, you can explore the city and enjoy a traditional Mexican dish too! While New England is heading into the winter season with snow and cold weather chilling your bones, this is not the case in Cancun. The enjoy temperatures in the high 70’s to 80’s most of the year. 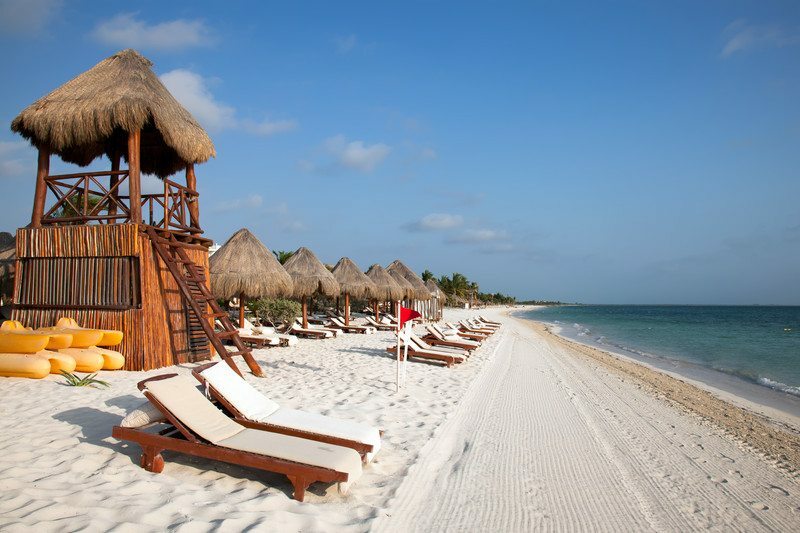 Year-round you will find well-tanned tourists enjoying the white sands and crystal blue waters. Cancun is one of the most developed luxury destinations in all of Mexico. There are hundreds of accommodations to choose from and one of the safest tourist spots in Mexico. You can enjoy relaxing in 5 stars, all inclusive resorts all over Cancun. If you are looking for something special they, have that too! There a plenty of boutique hotels like Sandos Cancun. There is no shortage of hedonism in Cancun. Between the bamboo bars, inner city cocktail spots and luxury resorts with super clubs, you won’t complain about being bored. There is a party of all types going on most nights of the week from the mild to the wild. With over 20 miles of glimmering sandy beaches and turquoise blue waters, there are plenty of spots to lay back and relax. Cancun truly does feel like paradise. These are some of the most beautiful beaches in the world.